Prior to offering self-collection as an option to their patients, healthcare providers are encouraged to check with their pathology laboratory on availability. 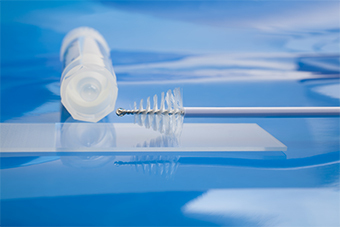 Self-collection of vaginal samples for human papillomavirus (HPV) will be an option under the renewed National Cervical Screening Program. Has been exposed to diethyl-stilbestrol (DES) in utero. However this process has been marred by the non-availability of accredited pathology laboratory testing. The Australian Government Department of Health is aware that only one pathology laboratory is accredited for self-collection.